Now 20% off - hurry, offer ends Wednesday! Each bracket kit for Ionic Pro Series Nerf Bars is engineered specifically to enhance rigidity and durability due to the vehicle specific, u-cut shape of the brackets. These provide a no drill install on most applications. A special e-coated application is applied before the powder coat to help prevent rust inside, while the dual coated powder coat finish ensures these bars will hold up to the most extreme conditions. The step pads on Ionic Pro Series Nerf Bars are reinforced internally, providing a safe, durable step for everyone. Ionic Pro Series Nerf Bars have welded end caps to provide a tough, one piece construction. This ensures no water or debris will enter the bar and cause damage or corrosion. 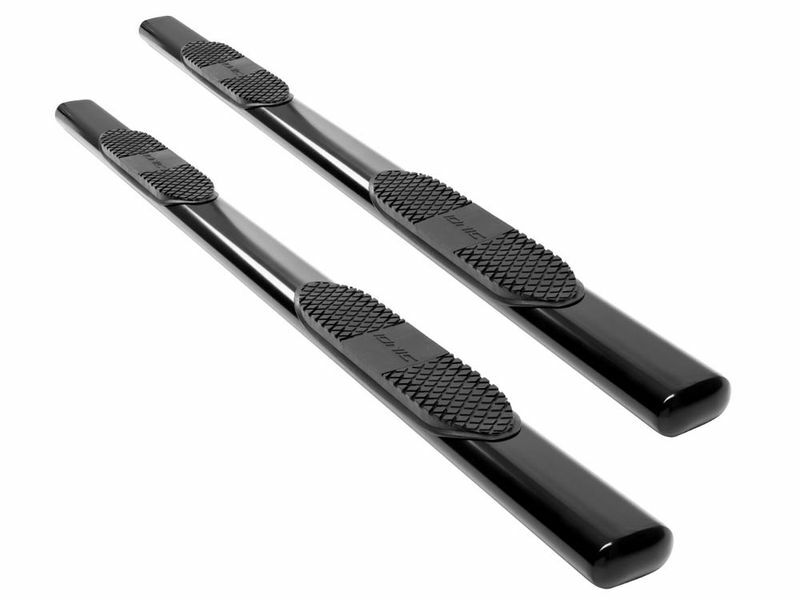 The Ionic Pro Series 5" Black Nerf Bar has a 5 inch wide step pad which provides a substantial step area when getting into or out of your vehicle. Every Ionic Pro Series Nerf Bar ships with two bars, as well as any brackets and hardware needed for installation.